Despite having made countless headlines this year, Zika isn’t a new disease and the majority of people who contract it will go symptom-free. Having first been discovered in Uganda’s Zika forest in 1947, the virus was thought to be generally benign, and it wasn’t until April 13 that the CDC confirmed a link between the virus and microcephaly. Compared to other mosquito-borne diseases like Yellow Fever or Malaria, Zika initially hadn’t posed an immediate threat. Consequently, resources available for investigation into the virus were redirected toward finding treatments for related diseases with greater death and hospitalization rates. But with cases of Zika-related microcephaly on the rise and newly discovered links to neurological and autoimmune disorders, research into the virus has rapidly taken off. Zika is considered a flavivirus, meaning that it falls under the same category as diseases such as Dengue hemorrhagic fever, Yellow Fever, West Nile virus and Hepatitis C. Though flaviviruses are responsible for some of the most serious mosquito-borne human diseases in existence, many don’t have vaccines. However, like those infected with the Dengue and West Nile viruses, most who contract Zika won’t even know they have it. The disease is generally symptomless, and only a small percentage of those with the virus will develop more serious conditions. In fact, the first and only Zika-related death was reported this year on April 29 in Puerto Rico; while the death of a single individual is a far cry from the flu’s annual 32,743 reported deaths, the individual’s fatality, among several other serious manifestations of the disease, may mean that the virus has mutated. The victim who developed fatal symptoms was a man in his 70s who had recovered from cold-like symptoms before he developed a far more devastating condition: immune thrombocytopenic purpura. The illness is similar to another syndrome associated with Zika, Guillain-Barré, in that it causes the immune system to produce antibodies that attack human cells rather than the virus. Both disorders can be caused by a number of infections and are rare among those who contract Zika. But the question still remains as to why an originally benign disease is now causing severe birth defects and autoimmune complications: Could it be that the virus is changing or are these rare manifestations showing up because the disease is infecting a much greater number of people? The answer may lie in the disease’s similarities to other flaviviruses. On May 18, we visited Dengue virus and discovered that severe manifestations of the the disease may be due to Antibody Dependent Enhancement. That is, when low levels of antibodies are present, say following previous exposure to the disease, the virus may be able to use those antibodies to multiply and cause far more devastating symptoms. If Zika also exhibits ADE, those who have already contracted the disease — or even another flavivirus — may be at greater risk of developing symptoms such as microcephaly. While this theory hasn’t been proven yet, it provides a potential explanation for why only those fetuses in Brazil and French Polynesia have developed microcephaly. Mosquito-borne diseases are easily transmitted in these tropical regions, and if the mothers had previously contracted other flaviviruses, a re-infection might explain why Zika has only been linked to stunted neonatal brain development in certain regions. Cases of microcephaly in Brazil have risen significantly this year, prompting widespread concern for the Rio 2016 Summer Olympics. A normal average of cases per year is 150, but this number has shot up to 1,434 since October. While many have already begun taken precautions — South Korea unveiled a “Zika-proof” uniform for its athletes and scientists have called for a postponement or relocation of the games — the World Health Organization has determined that moving the games will alter neither the spread of the virus nor the severity of the epidemic. For those traveling to South America this summer, the best preventative measures will be those taken against the viral vector, the Aedes mosquito. Expectant mothers should be particularly generous with bug repellents when travelling in order to prevent the development of microcephaly. Though cases of the condition are increasing, research into the disorder hasn’t been without progress. Scientists at the UCSD School of Medicine, for instance, have discovered a mechanism by which Zika causes microcephaly. 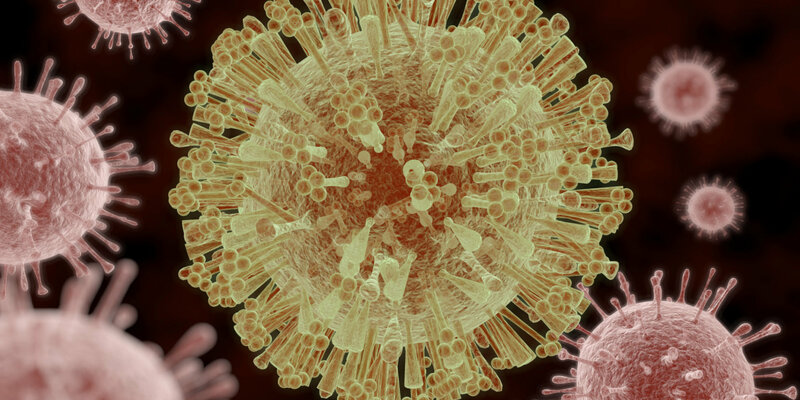 Using a 3-D, stem-cell based model of a first-semester human brain, researchers found that Zika activates a molecule produced to ward of viruses. This molecule triggers the death of stem cells originally intended to become brain cells, resulting in stunted brain development. The good news, however, is that when researchers inhibited this mechanism, the brain continued to develop at a healthy rate, suggesting a potential approach toward treating a prenatal Zika infection.